Sassuolo have achieved so much in the three and a half years since they have been in Serie A. Squinzi, along with former Sporting Director and now CEO and General Manager Giovanni Carnevali, have truly made wine out of water, making the most out of so very little money. They own their own stadium, the second of only three clubs in the league to do so. They have a squad that has achieved so much more than it should have. A squad that is mostly Italian, and they have also fearlessly played young players, before Milan made it cool to do so. Some of their young players have already gone on to bigger and better things. Like becoming the biggest joke of a penalty taker ever. But seriously, he was good at Sassuolo. And they have kept the same coach, Eusebio di Francesco, for almost five years now. Well except for a brief five week affair with Malesani three years ago. C•••o. And last year, thanks to Brocchi’s Milan and his loss to Juve in the Coppa Italia, they even qualified for the Europa League this season. Talk about chemistry. "Wait, Sassuolo cheated on me with Malesani?!" Their most recent match was a 2-1 win over Udinese last week. 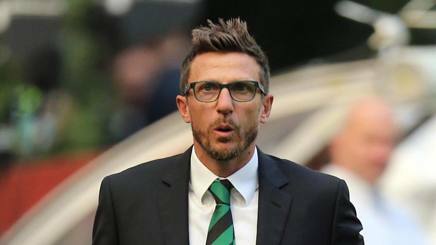 For that match, Di Francesco lined up Consigli; Peluso, Acerbi, Dell’Orco, Gazzola, Aquilani, Duncan, Pellegrini, Matri, Politano, and Berardi. Yes, that is the same Berardi who scored four goals on us in a single game a couple of years back. 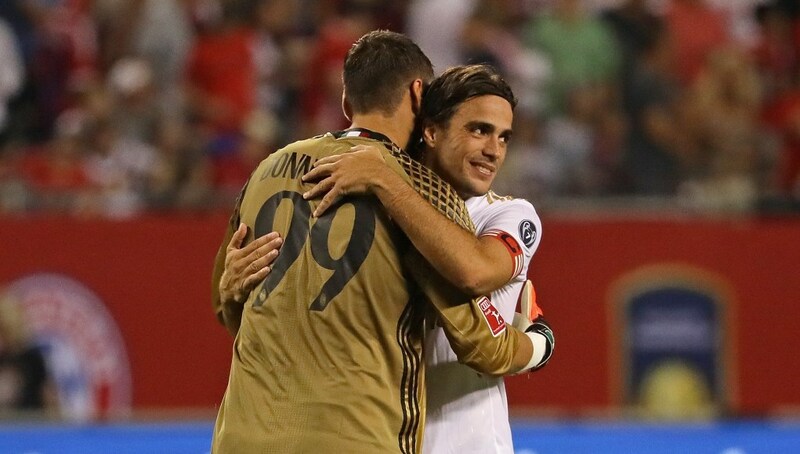 And yes, those are Acerbi, Aquilani, and Matri who are former Milan players. They all play better in the Neroverdi for some reason. In fact if you’ll remember, Acerbi, also a lifelong Milanista, scored against us in October when we managed to beat them 4-3 at the San Siro. But while Di Francesco’s injury fortunes have changed, he will still be missing Ragusa, Antei, Lirola, Magnanelli, and Biondino to injuries on Sunday. So many things wrong with this picture... he may be legal tomorrow, but get your hands off of our Gigio! Milan, of course, are still missing key players Bonaventura, Romagnoli, and Antonelli, while also missing Montolivo. It was a terrible omen that Montolivo began light individual training on the pitch this week, let’s hope that our success without him continues in spite of that. Sosa has begun to impress as Milan fans’ opinions of Locatelli have become both shortsighted and impatient. And while the overall performance against Fiorentina on Sunday was dreadful to watch, they got the job done, and that’s the most important thing. The question remains: Can Milan beat their kryptonite team away? In the stadium that is not quite a home stadium for Sassuolo, but still they own it? (The shrewd Squinzi bought at a public auction when they were being promoted to Serie A.) They have beaten us in four of our seven meetings so far in Serie A. Can we even the score on them on Sunday afternoon? Or will our chemistry with them curse us again? I hope that at the end of the match, Milan players and staff not only commend Sassuolo for what they have accomplished, but also console them for their loss. 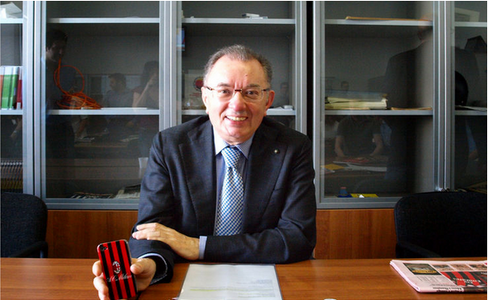 I may admire Squinzi and company, but like him, I am a Milanista. And winning is the only formula I know.